So confession time.... I've never watched any of the Universal Monster movies. Nope, not a single one. I've seen documentaries and have read all of Crestwood Horror Series of books, but the closest I've gotten to watching a Universal Monster movie was watching The Monster Squad. That was until recently, when I decided to watch Tod Browning's 1931 Dracula. I knew I needed to see a handful of the Universal Monster movies, so I bought the eight movie Blu-ray set back in 2017. It's taken me some time to get around to watching them, but I finally watched Dracula a few months back. A local solicitor is sent to Count Dracula's castle, who unbeknownst to him is a vampire. After siring the solicitor, Count Dracula travels to London to reek havoc. -The set design is amazing and it's truly wonderful to see in crystal clear blu-ray format. I couldn't imaging sitting through a VHS copy of Dracula, but man is the blu-ray gorgeous. -The plot is simple and the performances are all around pretty great. Of course, watching this film eighty years later it's easy to notice quirks in the dialogue and action that were used by the performers in these early talkie films. -The special effects are surprisingly good for 1931. I was not expecting them to look as good as they did. -Personally, I struggle with films from before 1975 or so. It's a pacing thing for me, and the pacing on this movie is what you'd expect out of something from the 1930s. It comes across almost like a play and is slow and deliberate giving the audience enough time to pick up on the story and never once get lost. I wasn't bored by this film, but I also wasn't riveted. -In 1927, Bela Lugosi portrayed Dracula in a Broadway version for 261 performances. He was so eager to play Dracula on film that he took a meager salary of $500 a week for seven weeks to secure the role. This was an insultingly low pay even for an actor during The Great Depression. -Also from the original Broadway play were actors Edward Van Sloan as Van Helsing and Herbert Bunston as Doctor Seward. -Lugosi's epic Dracula stare was achieved by pointing two pencil-spot lights into the actor's eyes. -Sound was so new to films in 1931, that no real musical score was used in the movie. It was believed that the audience would have a hard time hearing music with no real explanation of why it is there. -Dracula's castle was actually a painting on a piece of glass in front of the camera..
-The boat footage was taken from another Universal film, 1925's The Storm Breaker. Silent films were shot at a different speed of film, thus the reason for the quick and jerky moments during that scene. 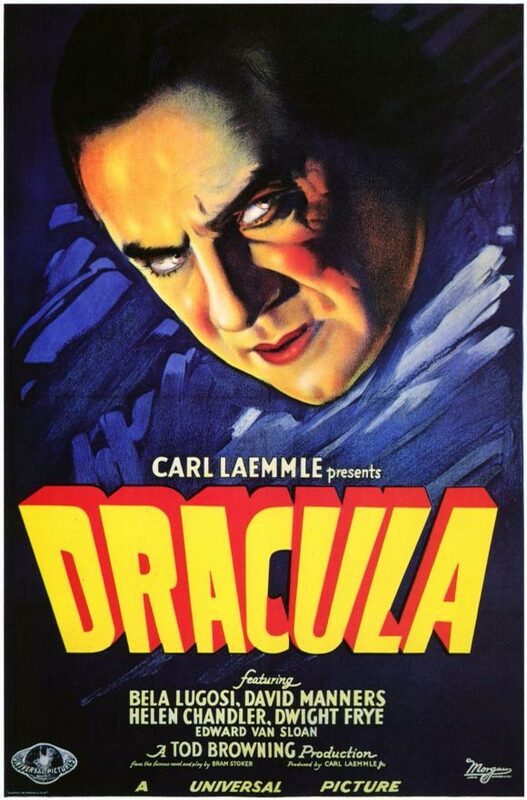 -A Spanish version of Dracula was filmed on the same set at the same time, just featuring actors who spoke Spanish. I'm sure there have been millions and millions of words written about this film. If you are reading my site, you know that I keep things as minimalistic as possible and don't dive too much into themes. The question I try to answer is: is this movie worth my time? In all honestly, for the film and story it is not. It's simple, slow moving, and a little bit boring at times. With that being said, if you are a fan of older films I'm sure the pacing wouldn't throw you nearly as much as it does me. Also, if you are a huge horror fan, then I think its worth your time to sit down (like I am) and checking out these classics. These films paved the way for the horror movies that were to come and they were some truly technological treats in their day. The make up, special effects, and acting were all groundbreaking and without these films tearing down barriers, who knows if the film industry would have grown into what it is today. So, I feel obligated to review this film on two standards. Is this film worth your time for story? No, skip it. It's a two out of five. Should you watch this film for historical value? Absolutely, it's worthy of a four out of five when you judge it based on that. The 90's Horror Review. Awesome Inc. theme. Powered by Blogger.